A relative of Jesus', possibly a first cousin. He is in the Gospel of Matthew, and is one of the brethren of Christ mentioned in Acts who was present at the birth of the Church on the first Pentecost. Reported to have been at the martyrdom of Saint James the Lesser, he was chosen to succeed James as bishop of Jerusalem. In 66, before the city fell to the Romans, the Christians received a divine warning, and evacuated to nearby Pella, with Simon as their leader. In the aftermath of the destruction of Jerusalem, Simon led the Christians back to the city where they flourished, performed miracles, and converted many. 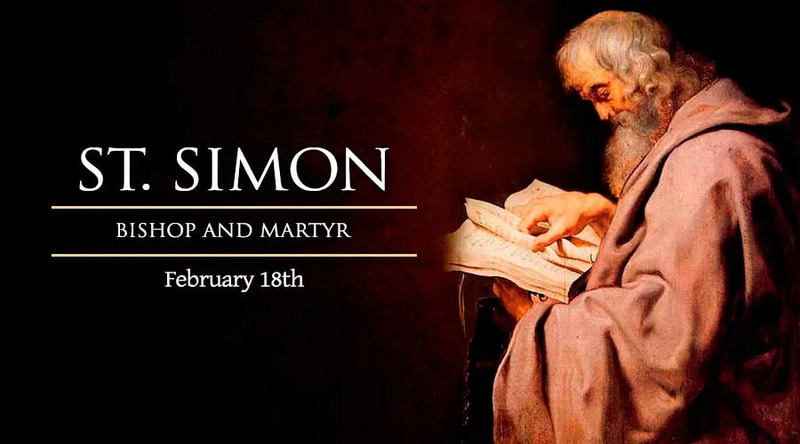 Simon was eventually arrested, tortured and martyred for the twin crimes of being Jewish and Christian. His death was that of crucifixion.